Regional Fisheries Management Organizations (RFMOs) for highly migratory species, straddling stocks and discrete high-seas stocks, have established either centralized RFMO satellite vessel monitoring systems (VMS) for the high seas of their areas of competence or prescribed requirements for national VMS systems to apply to vessels that operate in the RFMO areas of competence. 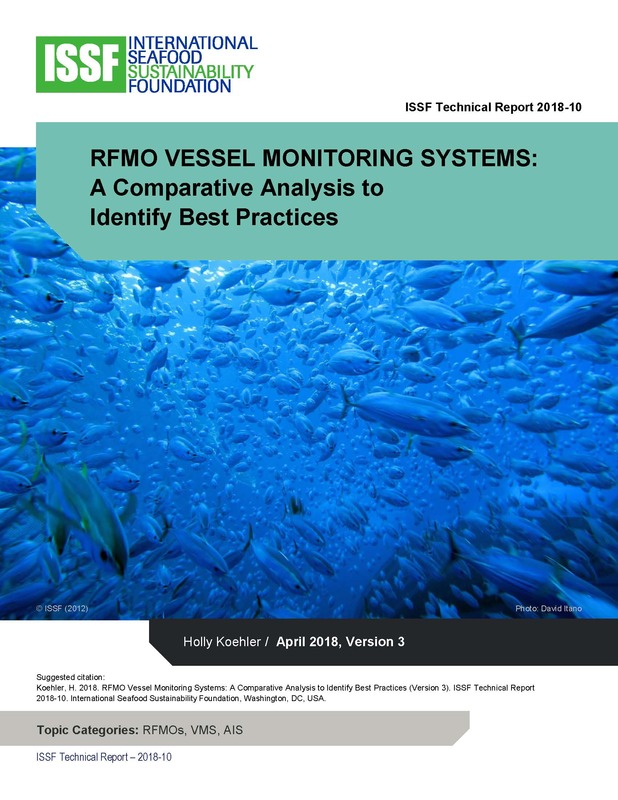 This Technical Report compares the satellite vessel monitoring systems (VMS) that are in place in regional fisheries management organizations (RFMO), or requirements for national VMS systems for vessels that operate in RFMO convention areas, and identifies a set of Best Practices that could be used by States and RFMOs in the development or strengthening of national, regional or sub-regional VMS programs for fishing vessels. A discussion of Automatic Identification System (AIS) is also included in this Report. AIS has begun to be required by some States and fleets to track fishing vessel movements and monitor their activities, and some RFMOs are also considering the utility of AIS as part of their suite of monitoring, control and surveillance options. In addition, AIS is being advocated by some non-governmental organizations as an important tool to enhance the transparency and public accountability of fishing operations; combat illegal, unreported and unregulated fishing; and strengthen compliance. Publicly available sources of information and documents or technical specifications provided by RFMO Secretariats were consulted and used for this Report. This Report also utilized the conventions, resolutions, conservation and management measures, rules and procedures, and other reports, memoranda of understanding, and standards-setting documents that are posted on the websites for the five tuna RFMOs (ICCAT, IOTC, CCSBT, IATTC and WCPFC) and five non-tuna RFMOs (NAFO, NEAFC, SPRFMO, SEAFO and CCAMLR), which were posted online or released by a national government authority or by private services providers.